Chris Brown is sparking a comeback with his latest single. Chris Brown is saying bye bye to his recent slump. The 21-year-old musician’s latest single, the goodbye groove “Deuces,” made the No. 1 spot on Billboard’s R&B/Hip-Hop songs chart this week, The Associated Press reported. 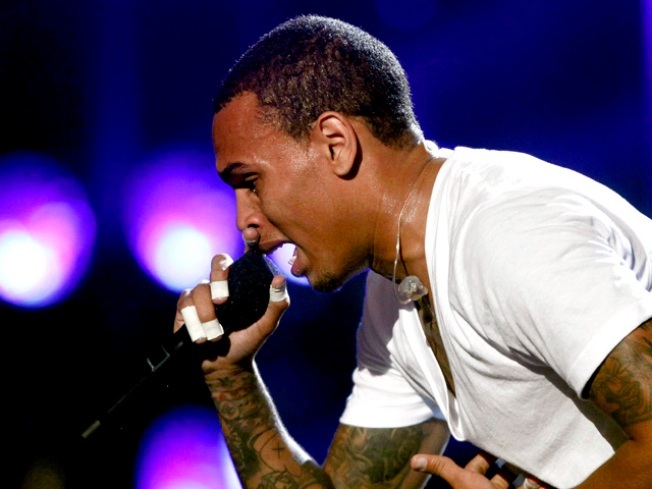 Since Brown's February 2009 altercation with then-girlfriend Rihanna, he has not had much success musically. He released his third album "Graffiti" in Dec. 2009 and it's his lowest selling CD to date. Only two songs from the album hit the charts; the first single "I Can Transform Ya" peaked at No. 20 on the pop charts. But "Deuces" is getting the performer's music career back on the right track. It appears on his mixtape, "Fan of a Fan," and features rappers Tyga and Kevin McCall. Brown was sentenced last year to five years' probation and six months of community labor for assaulting Rihanna. Last week, the judge overseeing his probation praised the singer and "Takers" actor for keeping out of trouble. "You are doing very well," LA judge Patricia Schnegg said. "You are doing everything you are supposed to... you are working consistently on your community labor."